For an extra twist – Add ICE! Set up time between 1 – 2 hours prior to event due to filling. Customer to supply the water and hose for filling. 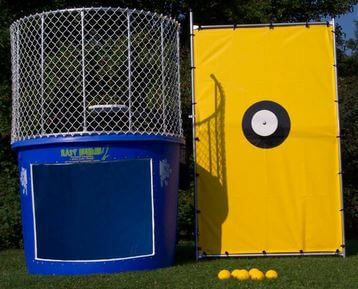 Ever wanted to dunk your teacher or boss? Great for fundraising events. Dunk Tank for 6 hours – $400 plus GST.